(Berkhamsted Parochial Review, Jul 1941). 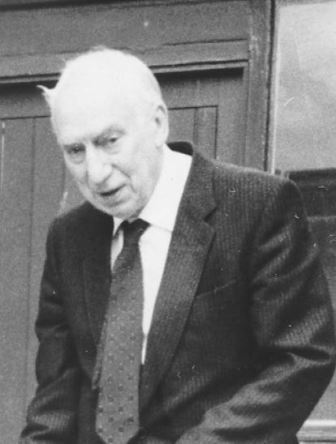 Here is an index to Birtchnell’s articles written from Jul 1941 to his Memoriam article in Apr 1986 (use Ctrl-F to search for particular items). Check out the links available from the index to see the original articles, or Facebook posts related to them. Bill Willett and I have spent many happy hours immersed in Beorcham’s world, scanning and loading his articles on to this website – thank you Bill for all your help, Linda. 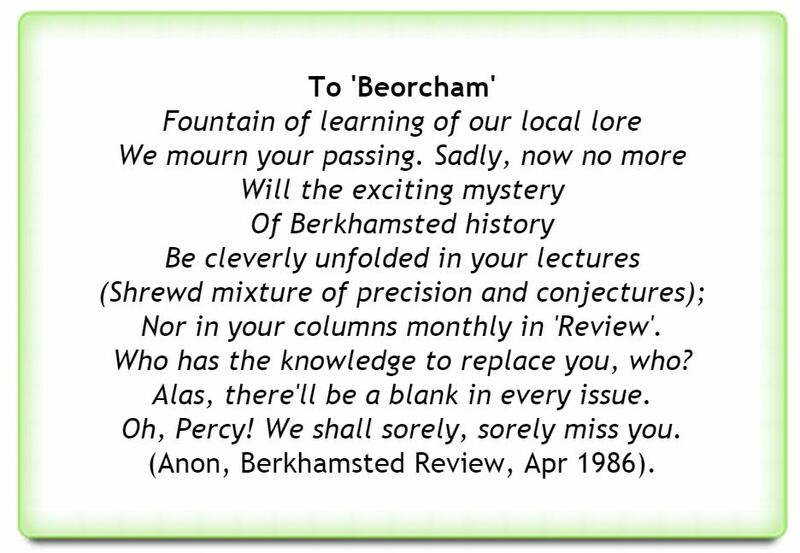 For later articles, such as John Cook’s Around the Town, there is a searchable archive of complete back issues of Berkhamsted Review and its successor from 1995 to the current issue. By joining the Society you will be entitled to free admission to Society meetings, invitations to summer outings and receipt of the Newsletter, a copy of 'The Chronicle' (the Society's publication produced annually) and the Annual Programme of Events. and return to the Membership Secretary.